The sectional alone I would say looks nice but was disappointed in how low it is and the cushions only coming to the low part of your back. My husband is tall and will never be able to comfortably sit on this. The most disappointing feature was it arriving damaged. I contacted the company and received a response immediately asking which box had been damaged. I responded within a few hours. Since then there has been no communication from them or replacement of damaged product. I have sent three emails asking the status of the replacement or if they need anything from my side. I have not had a single response from them. Overall I thought I was getting a good deal on some nice patio furniture when I purchased it. However it turned out the discounted price was a little high for what you actually got in my opinion had it not been damaged. But what I now have is nothing but some pretty bitter feelings towards this company and a piece of furniture that will need to be replaced. I wish I had read the reviews of the actual company before purchasing. 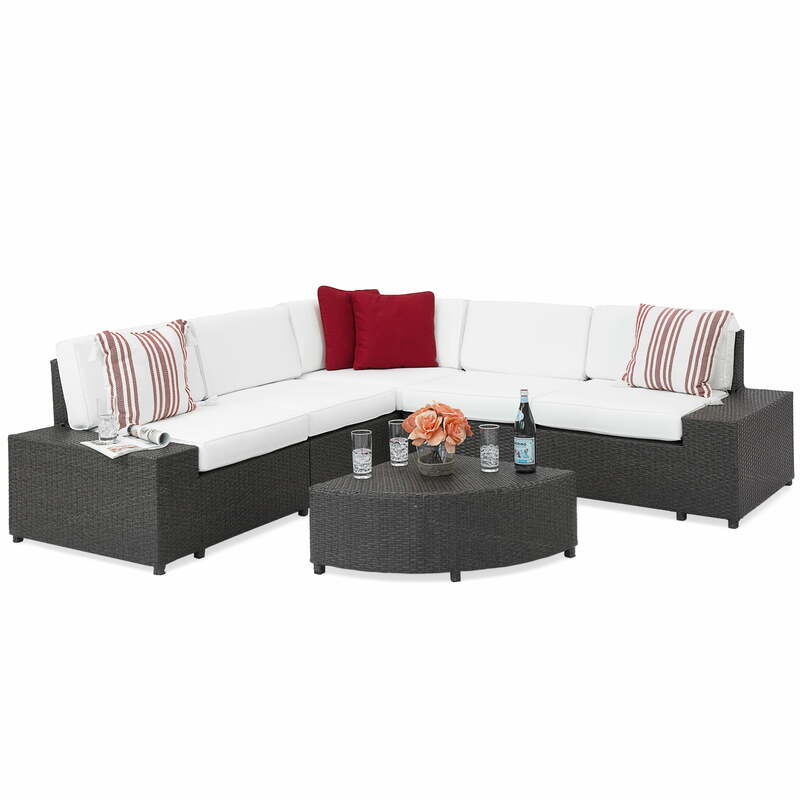 Home territory searches the web to find the best prices and availability on Wicker and related products foir your home like 6-Pc Wicker Sectional Sofa Set w 5 Seats, Corner Coffee Table, Padded Cushions. For this page, related items include products we find that match the following keywords: "Wicker" at our vendor partner Walmart - Click More Info / Buy Now to check for price rollbacks!. 6-Pc Wicker Sectional Sofa Set w 5 Seats, Corner Coffee Table, Padded Cushions is one of 91 Wicker and related products available for sale through HomeTerritory.com, If you have any questions on this product, please give us a call at 734-971-1210 during the hours of 9am - 5pm EST for assistance. Thank you for shopping at Home Territory, the home furnishings superstore!